Tahoe, CA. 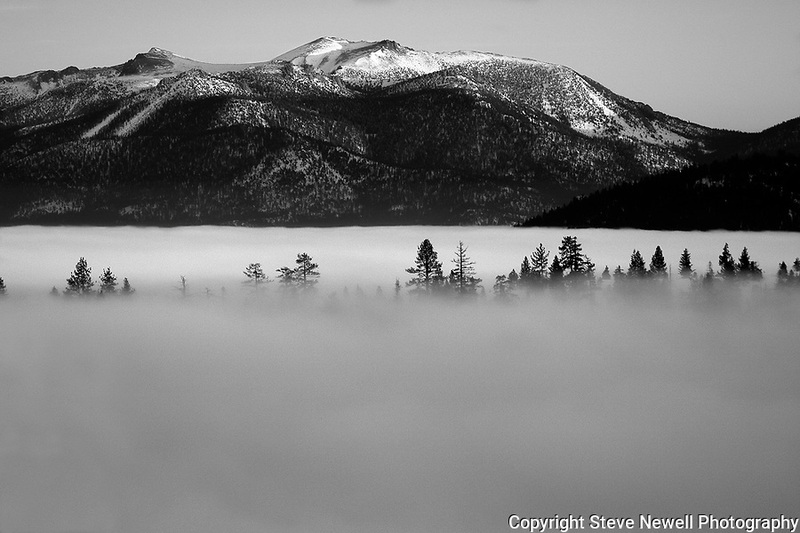 In 2005 a layer of clouds hovered over South Lake Tahoe for three weeks. I finally went out to Emerald Bay and hiked up above the clouds to photograph the basin. On my way back to town I stopped on the thin stretch of road between Cascade Lake and Emerald Bay for this view. I started in photography shooting black and white film and I am still a huge fan of B/W today!